More than 300 physicians wrote an urgent letter to President Obama saying, "Too often, foods served in cash-strapped lunchrooms are high in fat, cholesterol, and calories." The letter concluded with "Plant-based foods, farm to school programs, and fresh fruit and vegetables are not luxuries; they are necessities." We couldn't agree more. Until our school system is changed to include plant-based menus, full of fresh fruits and veggies, whole grains and healthy fats, sending a parent-packed lunch to school is the best way to ensure what kid's eat for lunch is good for my them and the planet. But do you know what your child really needs for nutrition and to keep them going until the last bell rings? 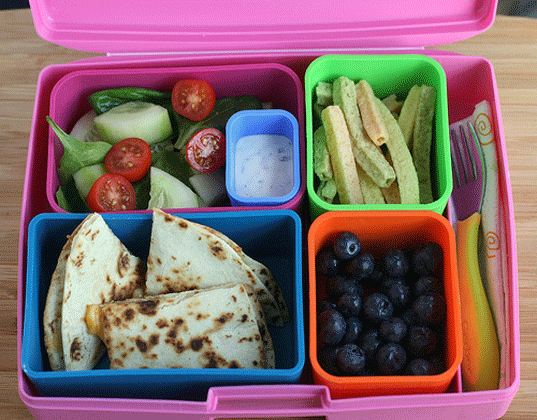 Read on to find out the six essentials you should pack in every lunch box and find fun and easy ways to do it. <strong> </strong> <h2><strong>Protein</strong></h2> Your kid is tired of turkey sandwiches and your school has banned peanut butter. Now what? Try these plant-based protein sources your kid will love: almond or soy butter, cheese, hummus, edamame, nuts, tofu, beans, seeds and tempeh. 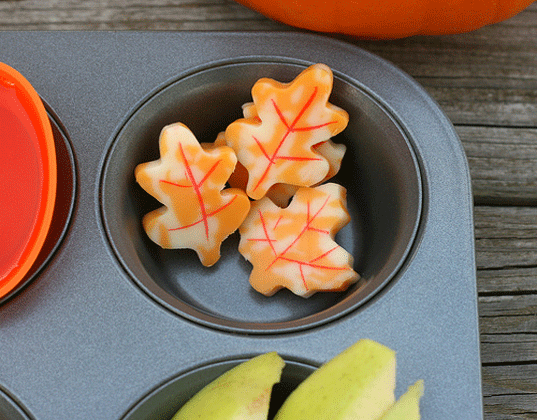 A great way to add a little fun to the protein section of your child's lunch is by cutting an almond butter sandwich or cheese with fun-shaped cookie cutters. 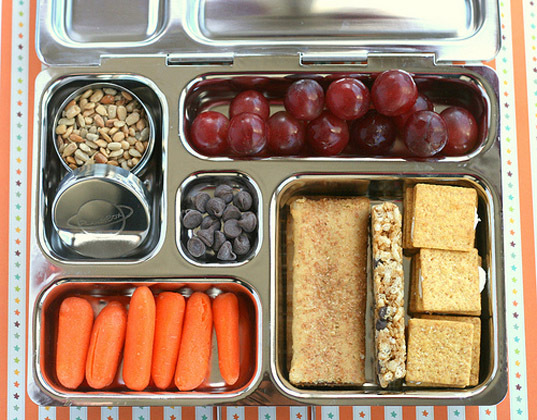 Kids will also find it fun to find a neat little container in their lunch box filled with nuts, seeds, beans or edamame. <h2><strong>Whole Grains</strong></h2> Whole grains provide fiber and B vitamins that kids need, and are a much better choice than nutrient-poor refined grains. Opt for whole grain bread, tortillas or pita for sandwiches or pack whole grain crackers. Or pack granola, corn, whole grain pasta, couscous, quinoa or brown rice. Give whole grains a fun twist adding a little unexpected sweetness. Add organic vanilla yogurt to granola for a sweet treat, or add a yummy dip or small container of honey to sweeten up pita slices, crackers or tortilla triangles. <h2><strong>Vegetables</strong></h2> We bet your kids would agree that veggies are more fun to eat when dunked in a tasty dip. Carrots, olives, cucumbers, and tomatoes taste delicious with a homemade organic ranch dip for example. Celery is great when paired with peanut butter and raisins. Sweet potato slices are delicious when dipped in a little tempura sauce. And a great way to incorporate many of these veggies into your kid's lunch box is by making them into a tangy coleslaw. <h2><strong>Fruits</strong></h2> Add a little fun to fruit by making a fruit salad or smoothie using organic vanilla yogurt. When it comes to fruit, simply cutting it into bite sized pieces is often enough motivation to get your little one nibbling. Try including these in your kid's lunch box: apple, banana, orange, kiwi, strawberries, peach, plum, grapes, melon, mango, nectarine, berries. <h2><strong>Calcium</strong></h2> You've surely heard that kids need calcium for strong bones, but milk isn't the only source. Cheese, yogurt, tofu, almonds, almond butter, beans, hummus, fortified orange juice and fortified soy, rice and almond milk all provide a dose of this important nutrient too. Children will find cheese that has been cubed or cut into fun designs to be irresistible. 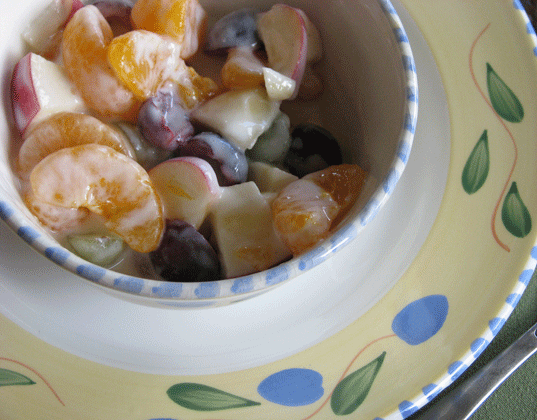 Goodies such as yogurt and tofu can be added into various dishes for an added calcium punch. <h2><strong>Healthy Fats</strong></h2> The average American kid has no trouble getting enough unhealthy fats in their diet, but the healthy fats -- found in almonds, almond butter, extra virgin olive oil, flax seed, flax seed oil, avocado and olives -- are often few and far between. You can add healthy fats into your child's diet by simply switching from peanut butter to almond butter. 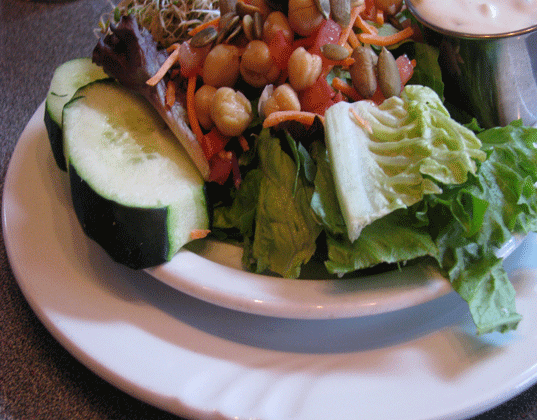 Another healthy fat - olive oil can be used in salad dressings. And you can easily sneak in flax seed oil to a beverage. 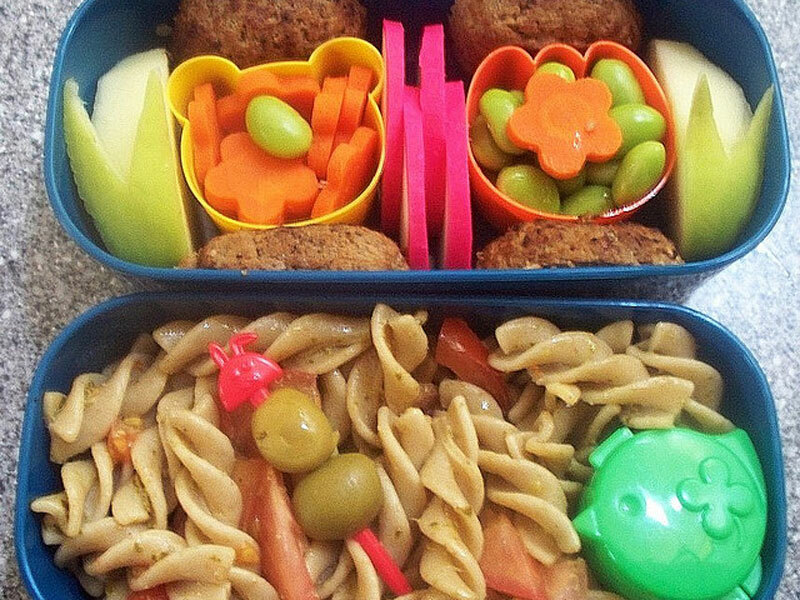 <br> Getting your child excited about their packed lunch is all in the presentation. Melissa Sharp from <a href="http://www.anotherlunch.com/">Another Lunch</a> takes packing your children's lunch to a whole new level. You will find many fun ideas at Another Lunch that you have probably never considered -- most of which are simple to make. She even shows you how to theme your child's lunch box with great <a href="http://www.anotherlunch.com/search?q=christmas">holiday</a>, <a href="http://www.anotherlunch.com/2010/06/dark-side-in-bento-box.html">Star Wars </a>, and <a href="http://www.anotherlunch.com/2010/09/muffin-tin-monday-hello-kitty.html">Hello Kitty</a> ideas. You will find the perfect lunch idea for older children and adults too. 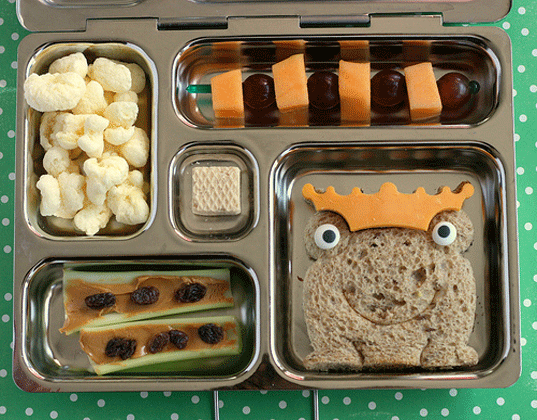 Melissa also has the cutest <a href="http://www.anotherlunch.com/2010/08/blog-header-inspired-bento-special.html">lunch notes</a> to slip into your child's lunchbox -- just another little surprise at lunch! 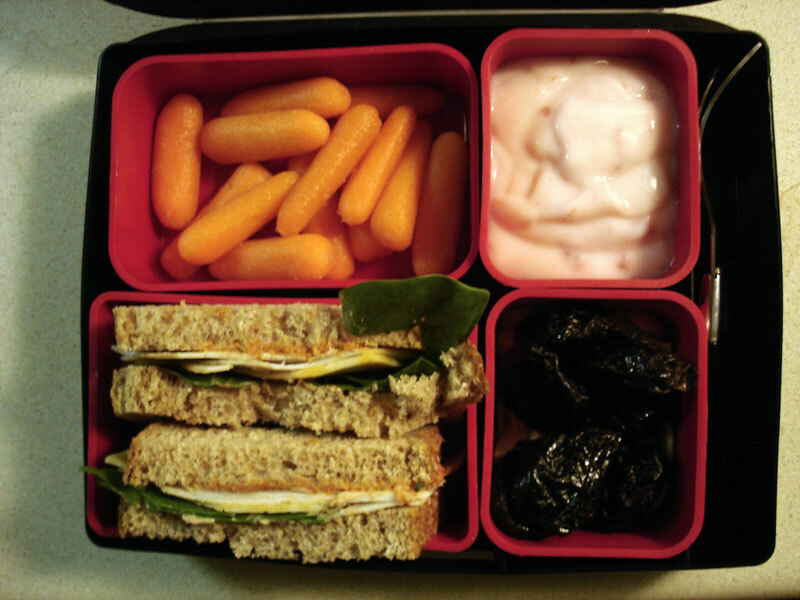 What are your child's favorite packed school lunch items? How do you guarantee that your child will eat the lunch that you packed for them? Tell us in the comments below!